Algorithms are language agnostic and any programmer worth their salt should be able to convert them to code in their programming language of choice. Unfortunately, I have come across several programmers who are REALLY good on programming languages like Java or Python like knows minor details of API and language intricacies but has very poor knowledge of fundamentals Algorithms and Data Structure. Just ask them to implement any popular sorting algorithms like quicksort or merge sort and they will fall apart. If you expect them to know more advanced and complex algorithms like String processing algorithms, graph algorithms, tree traversal or greedy algorithms, be ready to check on Interviews, otherwise, you might end up with some surprises. Once, I come across a very good candidate for a core Java senior developer role, He who was excellent in Java, multi-threading but his data structure and algorithm skill was really poor to his experience and caliber. When I asked him, why he didn't spend time brushing his algorithm and problem-solving skill before coming to the interview? His excuse was "those algorithms are just for interviews and never really used in practical coding. I have never used them in my 6 years of Java development career". He was somewhat right, you don't need to implement a hash table in Java, you can always use HashMap class or Dictionary in Python for that sense but he failed to recognize the more long term improvement algorithm and data structure do in improving programming skill. Algorithms are tools of developing programming solving skill and coding sense, which is required to convert a user requirement into the line of code also known as a computer program. They are also all around, if you use Facebook, have you ever thought about how they find your friends so easily? Or how does Netflix recommends the movie you want to watch? Those are just a couple of examples of Machine Learning Algorithms, which is taking Algorithms into another level. Another gold tip to those who think that Algorithms are Data Structures are for those who want to work in Amazon, Google, Facebook, Intel or Microsoft, remember it is the only skill which is timeless, of course apart from UNIX, SQL, and C.
Programming languages come and go, but the core of programming, which is algorithm and data structure remains the same. If you know how a hash table works then you can use their implementation in any programming language like HashMap from JDK, Dictionary in Python, or HashMap from C++ boost library. So, if you are serious about programming and realizing it now that algorithms and data structure is not optional, here are some of the great books to learn algorithms. Some of you might have already read them before but they are worth reading again. This is one of the most popular algorithm books, but be aware that it contains a heavy dose of theory. The current edition of this books is 3rd Edition and I strongly suggest that every programmer should have this in their bookshelf, but only for short reading and references. It's not possible to finish this book in one sitting and some of you may find it difficult to read as well, but don't worry, you can combine your learning with an online course like Data Structures and Algorithms: Deep Dive Using Java along with this book. This is like the best of both world, you learn basic Algrotihsm quickly in an online course and then you further cement that knowledge by going through the book, which would make more sense to you now that you have gone through a course already. 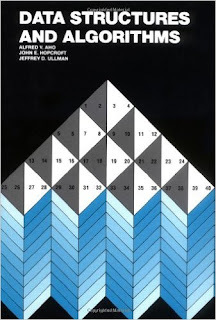 This was my preferred resource on algorithms for a long time, it still is but now I see it less often than before. You will learn lots of background on the algorithm and nowadays even specific versions of this book are available for different programming languages like Java and C++. There's also a couple of free Coursera online courses for this book, Algorithms Part 1 and Algorithms Part 2, which nicely complements this book. It's excellent. It's also my top recommendation to Java programmers for learning algorithms. 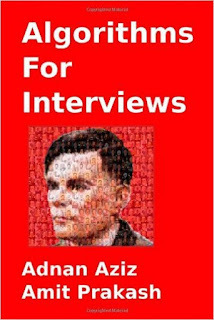 Algorithm for Interview by Adnan Aziz is a must-read book on algorithms, written in terms of keeping programming interview in mind. 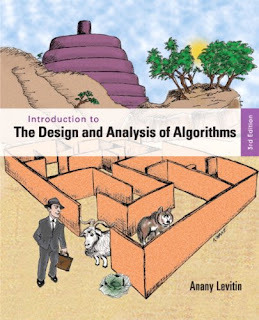 The cover itself shows how interesting the book could be if you look closely the image on the cover is drawn with thumbnails of famous people, and the book explains how you can develop such algorithms. Interesting, isn't it? Well, I like this book because of its approach and objective, sometimes learning the same thing with different object helps to understand it better. O'Reilly's Algorithms, in a Nutshell, is a very good book to learn programming algorithms, especially for Java programmers. It describes the algorithms with a focus on implementing them and without heavy mathematics used in classic books on algorithms. All algorithms are presented in pattern form, with a motivation to use them, pictures and pseudo-code giving a high-level overview, and working code (in C, C++, Java, and Ruby). They also have benchmarks to provide proofs of the theoretical performance of the algorithms. In short, one of the best book to learn algorithms for programmers. 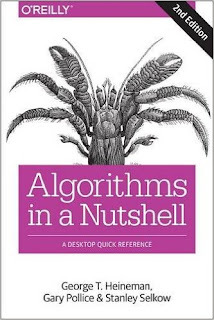 This is actually the second best book in Algorithms after Thomas Cormon's Introduction to Algorithms. It's not really an introduction to algorithms and more suited to experienced programmers. It's more about algorithm design for developers familiar with the basic algorithms. You should start with the Introduction of Algorithm book or Algorithms by Robert Sedgewick and then continue with this book. Btw, if you like you can also combine your learning with an online course like Algorithms and Data Structures - Part 1 and 2 on Pluralsight. It's a nice course to get familiar with essential Algorithms and Data Structure before you move on Algorithm Design topic. 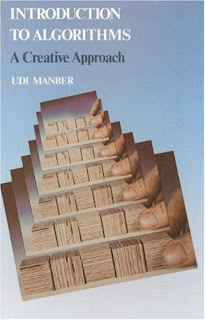 Introduction to Algorithms: A Creative Approach By Udi Manber is another great book for self-study as it is full of hundreds of problems and examples. It is designed to enhance the reader's problem-solving abilities and understanding of the principles behind algorithm design, which will help you to develop your Problem solving and Coding skills. This is another great cook on computer algorithms and deserves a place in a programmer's shelf. 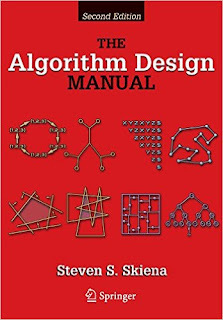 Once you've gone through the Coursera class on Algorithms and one of the intro book, you can read this book for studying advanced topics in algorithms. Another good intro book on algorithms and data structures. A lovely and clear book and any programmer who doesn't like heavy use of Mathematics on algorithm will appreciate this book. Btw, if you find this book difficult to read, which is what some of my readers complain then you can also take a look at the Grokking Algorithms by Aditya Bhargava, one of the easiest and interesting books on Algorithms for beginners. This book is designed for Python programmers. Magnus Lie Hetland is also the author of one of the popular introductory Python book, Beginning Python. 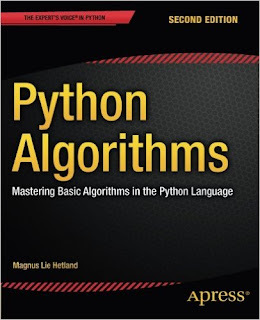 As I have told that algorithms are language independent, learning python algorithm doesn't mean you cannot implement them in Java or C++, but if you already know Python then this is the great book to learn computer algorithms. This book also gives a lot of focus on Graph Algorithms, which is very useful in solving real-world problems. That's all about 10 Algorithm books every programmer should read. I agree that algorithms are a complex topic and its not easy to understand them in one reading, in that case, I suggest to read the same book twice. Also just reading is not enough, try to implement them in a programming language you love. It doesn't hurt writing your own ArrayList, HashMap or a tree-based Map implementation. Effect of learning Algorithm is not immediately visible but you will notice a subtle improvement in your thinking, solution building and code quality over time. Btw, if you are interested in an online course on algorithms, I suggest you check out Data Structures and Algorithms: Deep Dive Using Java on Udemy. It's not a free course but you can buy in just under $10 on several of Udemy flash sales, which happens every few days. At last, there are two types of programmers, one who understands the algorithm and one who doesn't. Thanks for reading this article, If you like this list of books then you would also enjoy my collection of 10 books every programmer should read, which is list of books on programming, coding, software development techniques, and best practices, computers, programming as profession and experience of some of the great programmers/coders/developers of last 50 years. A List of algorithm books but without data structure? I think data structure is equally important as algorithms and you should include some books on data structure as well. Certainly YES... Its Missing in the list. 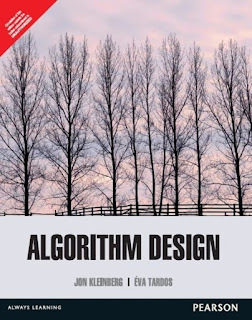 Algorithm Design by Jon Kleinberg and Éva Tardos is probably the best algorithm ever to start with. Hello Hernan, Thanks for suggesting Algorithm Design by Jon Kleinberg and Éva Tardos. I haven't got a chance to read that book yet, but sure take a look in future. Do you recommend this to Java Developers as well? I mean thus examples given in Java? No one reads these books; you are just selling stuff. Seriously, you have read "Introduction to Algorithms by Thomas H. Corman" front to back? No ... you haven't. Hello @Scott, you don't need to read a book front to back always. Sometime you refer them, sometime you keep them referring again and again. There are very few book, which I would say anyone read, front to back twice or thrice e.g. Effective Java, Clean Code etc. Another good book is Algorithms by Sanjoy Dasgupta , Christos H. Papadimitriou , Umesh Vazirani.Check it out. 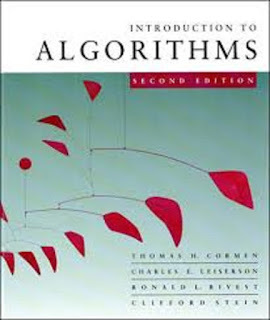 It is easier to read than the Introduction to Algorithms, which will atleast take 2 to 3 weeks to complete. Hello @Anonymous, thanks for suggesting Algorithms by Sanjoy Dasgupta, I haven't read this book yet, but surely look into future. Though, I really like a easier to read book on Algorithms because the topic itself is very complex and hard to understand. One more good book to learn programming algorithms is "Algorithmics: The Spirit of Computing" by David Harel and Yishai Feldman. 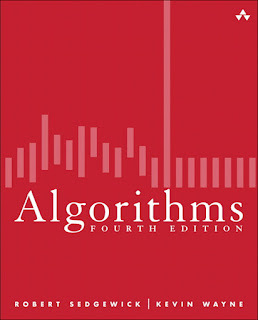 This is one of the easiest to read books on Algorithms that I have found and it is written by a genius in the field of algorithms. Hello @Annoymous, "Algorithmics: The Spirit of Computing" is indeed a great addition into this list. The best part, as you mentioned is that its easy to read, which is just what you want to understand a complex topic like Data Structure and Algorithms. I will add this into main list sometime. Thank you Michy, glad that you like these algorithm books for programmers. Hello @Anonymous, indeed, that's a great book, but honestly speaking its too difficult to read. I have tried it a couple of times and only then I started to understanding it little better. Indeed, thanks eliezio for pointing out. Thank you Robert, glad you find this book recommendation useful. @Lion, no doubt Knuth is one of the great book on computer programming, but its also very hard to read. I would rather suggest "Grokking Algorithm by Aditya Bhargava" than Knuth, unless and until you really know what you do and understand complex wording. Though, its a good reference book, where you can refer and keep learning some concept in detail. Thanks for this great list! going to order a few from it. I of course haven't read any or all of these books in their entirety, but I have spent a decent amount of time on 1/2 these books so here is my take. If you would like to learn algorithms through java code and not pseudo code then "Algorithms" by Sedgewick is great. It is written entirely in Java code for all examples with accompanying visual aids. The problem is sometimes reading code isn't the best way to fully understand an algorithm. Skiena's book takes a different approach, there is significantly less code in the book (C language) but there are still computer language examples. Kleinberg & Tardos' book is entirely pseudo code which some people might not be as excited about but I personally think for what material it covers is by far the best book in the list. Sure, it doesn't cover the depth that Cormen's book covers, but it is beautiful to read. It is almost as if someone is telling their friend in passing all about certain (mostly graph) algorithms, but they also justify all their claims with proofs for those who enjoy a deeper level of understanding. In conclusion, Sedgewick's book is practical for people who want to see java code example of popular algorithms, Skiena uses some code but mostly pseudo code and covers a wide range of topics, Kleinberg and Tardos is an absolute joy to read for the material it covers (Less than Skiena but best of all I've read). Finally Cormen's has its place, but it is more of a dictionary that should be used to look up things for further understanding. And the fun fact is that none of this is needed for many if most of the real wold jobs, which are and endless grind with requirements, bugs, spaghetti, documents, bad tools, bad managmeman, bad colleagues, etc.